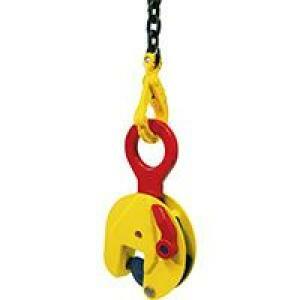 For Vertical lifting, transporting and turning of all steel plates and structures. Jaw openings available from: 0 to 150 mm. TSE / STS types are supplied with enlarged jaw opening. Working load limit (WLL) 750 - 30000kg (Higher WLL available upon request). Min.WLL is 10% of max. WLL. Tough quality heavy duty welded shell body. 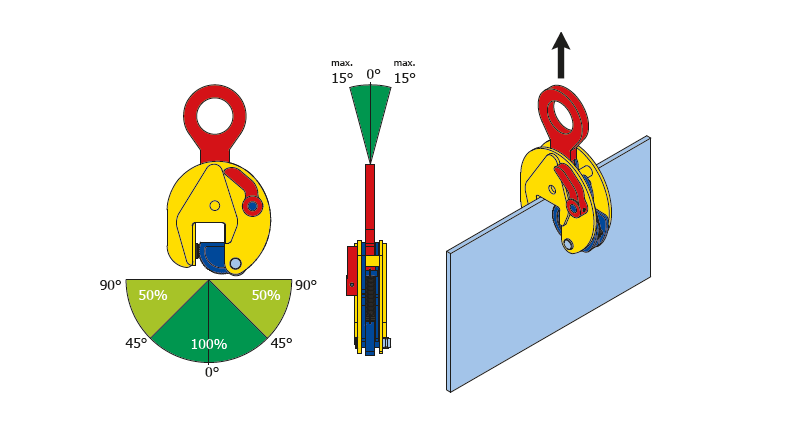 Always equipped with a safety mechanism, ensuring the clamp does not slip when lifting force is applied and when load is being lowered. 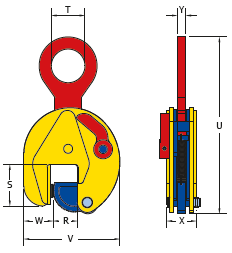 Clamp is locked in closed as well as open position. Maintenance-friendly, easy to exchange parts which are available upon request . 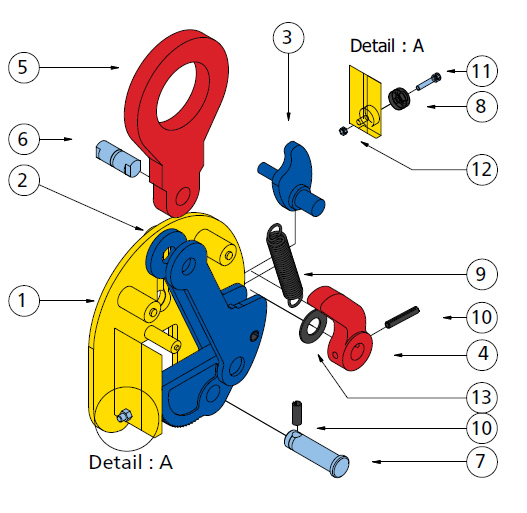 Signal colouring on lifting eye and locking lever for extra safety.